Lemon Myrtle Oil (Australia) - Ultra International B.V.Ultra International B.V. 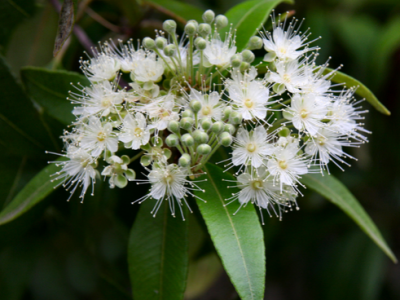 Lemon Myrtle Essential Oil - Backhousia citriodora - is processed from the Lemon Myrtle tree, The highly aromatic Lemon Myrtle oil is steam distilled from the glassy bright green leaves, exuding a strong lemon note which extends a freshness and lemon scented astringent aroma. This oil has a high percentage of citral - 90-97% This oil is well known for its fresh, strong citrus note is popular for diffusing especially in large areas. Lemon myrtle oil is thought to have a number of therapeutic ans aromatherapy benefits in particular to skin benefits. Reduces clogged pores, balances oily skin, reduce the appearance of pores, makes you smell great, helps boost your mood. This oil is very useful in definite reduction in cold and flu symptoms, reduction in sinus problem. This tree is an everlasting tree it can grow upto 66 feet high which is often referred to as the Lemon Scented Myrtle tree. Indigenous to the warmer, wetter southern Queensland region, this evergreen tree is now grown commercially in the Northern Rivers area. There are some stands in the cooler climates of Australia, although this tree doesn't tolerate frosts well so should be well managed in these regions.